Since the development tools of the Microsoft’s Windows Phone 7 platform were released this year, it has caught with developers. It has been proved by a Microsoft executive in a blog entry that featured a lot of numbers related to Microsoft’s entrant in the extremely competitive smartphone market. Last March tools for the Windows Phone 7 were firstly presented at the Mix10 conference, declared senior director of Windows Phone at Microsoft, Brandon Watson. The Windows Phone Developer Tools were downloaded over 1.5 million times since then and 36 000 users have become members of the Windows Phone developer community. It includes about 11 500 games and applications, 7 500 of which are available for sale rather than available for free. Every week Microsoft has been adding about 1 200 registered developers and 1 100 apps are producing developer revenue through the Microsoft Advertising Ad Control. A key iOS application developer said that Microsoft can be one of multitude companies that is able to challenge the Apple iPad in the tablet world. 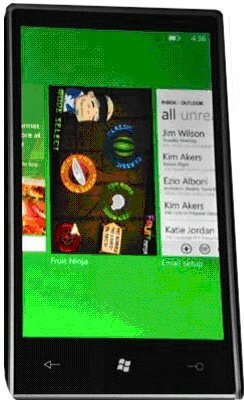 Internet Database Connector forecasts that iOS will be topped by the Windows Phone 7 by 2015. As Watson said, customers like Windows Phone 7 applications and download 12 applications per month on average. If to take into account the fact that the phones have been available only for about 4 months, it is rather healthy demand. 62% of applications have been already certified for the platform in their first endeavour. 40% of registered developers have published a game or application, while 60% have not done so. But not all the comments added to blog were as optimistic as Watson. 1.5 million of Windows Phone 7 toolkit downloads, 36 000 of registered developers, 11 500 applications. In such a way, 2 % of the developer base sustain and 32 % of that 2 percent ship. It seems not so good info. But there is another person who lauded the WP 7 platform. He told that his experience with Windows Phone 7 developing has been some kind of exceptional. The sample code, the documentation, the community and the tools are all absolutely well done. Certainly, there have been some hiccups, but that is true of any platform. Analyst of IDC, Al Hilwa was impressed by Microsoft’s numbers. He said that he is impressed with the quality and the growth rate of the Microsoft application portfolio that is considered to be one of the key ingredients in the entire ecosystem. He also added that Microsoft is hitting the application milestones at a good clip, moving even rapidly than Android did formerly, while it is more facile to bring applications to a second or third mobile platform than to make it the first time. According to Watson Microsoft wants to evolve the platform to empower more developers to create applications. According to his words the upcoming conference Mix11 in two weeks in Las Vegas can be a milestone if to watch for in terms of the phone platform. Microsoft has been concentrated on the application’s quality in the Maketplace, sample code, “unparalleled support” and offering tools. Watson said that Microsoft has got thousand of applications. Actually ecosystem created 10 000 applications quicker than somebody else without padding the stats.